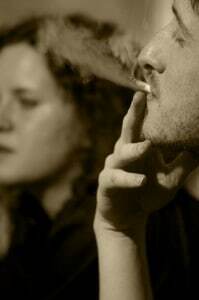 New no-smoking laws in California mean that landlords there must update their lease agreements. Pasadena passed a smoking ban last year that will soon affect apartments. Currently, the smoking ban is in effect for all newly-constructed apartment units, or those being rented for the first time. Beginning January 1, 2013, smoking will be prohibited in all multi-family buildings — two units or more. Smoking will be banned in all common areas and within the unit themselves, including balconies or patios. Landlords or property managers will be required to post signs noting the no smoking law, but are not responsible for its enforcement. Enforcement of the ordinance will be through the city™s health department, and landlords will not be held liable in the event a tenant disobeys the ordinance. The signs must be “conspicuous” with capital letters not less than one-inch in height on a contrasting background. The international No Smoking symbol — the pictorial representation of a burning cigarette enclosed in a red circle with a red bar across it, may be used in lieu of the written No Smoking sign. The No Smoking postings can be limited to first floor entrances and exits, lobbies, restrooms, and elevators. Also, new lease agreements entered into this year must include a reference to the city’s smoking ban ordinance and include a copy of the ordinance. All purchase agreements after Jan 1. 2012 are to include a reference to the ordinance and a copy of it, too. The State of California has also passed an law, which went into effect this year, to clarify that a landlord has the right to institute a smoking ban in rental properties. Tenants with leases which pre-date the smoking ban are generally allowed to smoke until the completion of their current lease term, unless the lease or local rules allow a change of tenancy on written notice. Under the state law, new leases must include a provision that specifies the areas on the property where smoking is prohibited.